Dimensions 0.70 by 5 by 8 in. 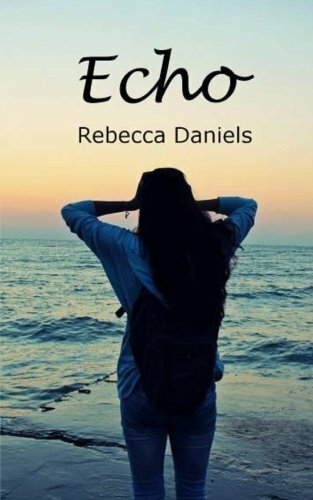 Amazon.com description: Product Description: Resigning herself to simply surviving the local high school and the arduous task of living with her domineering father, seventeen-year-old Cora doesn't have much time to think about boys. But then two mysterious and mesmerizingly handsome brothers begin at her school. They seem to capture the hearts of all the girls at Megalos, including Cora'sÃ¢ÂÂdespite her initial uneaseÃ¢ÂÂand she quickly finds herself torn between warming to Jonas Nelson and finding new reasons to hate him. Women are going missing in the tourist town of Port Okalia where Cora lives, and she can't help but feel the Nelsons are in some way related to the growing problem. Then one day, Cora is forced to confront the issue of the blackouts she's been suffering from her whole life, her growing feelings for Jonas, and in turn, her all-encompassing fear of the sea... What she uncovers throws everything she's ever known into complete disarray, and there's more yet to come. As memories and new truths begin to surface, Jonas seems to be the only one capable of saving Cora from drowning within her turmoil. About: Resigning herself to simply surviving the local high school and the arduous task of living with her domineering father, seventeen-year-old Cora doesn't have much time to think about boys.